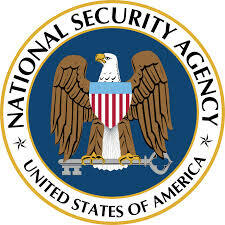 By order of President Harry Truman the National Security Agency was established on November 4, 1952. The decision to have this agency complete was finalized after the nation broke German and Japanese codes during World War2. This contributed to allied success against the German U-Boat threat in the Atlantic and the victory at the battle of midway in the pacific. It also contributed too to many other successes of this kind. The decision that President Truman made to establish the NSA was followed by several studies about how you can use the same methods to continue to do code breaking work even after the war. from white house and to the troops that are in the front lines. The National Security Agency and the Central security service has two missions that are interconnected. They are known as SIGINT which is short for signals intelligence and information assurance. Through SIGINT the NSA gathers information that America’s adversaries desire to keep secret. The NSA uses information assurance to protect vital national security information as well as important systems from theft or damage by others. Together, both missions of the NSA and CSS have a third essential function. This is enabling network welfare and military operation. Through the carrying out of these missions the NSA and CSS are able to save the lives of innocent people, defend vital network and advance the goals and alliances of the nation. They are successful at doing this while strictly protecting privacy rights as guaranteed by the constitution and laws of the United States. SIGINT id collected from various sources. They include foreign communications, electronic systems and radar. The information that is collected is normally in foreign language and dialects. It is protected by codes and other security measures and involves complex technical characteristics. When this information is collected the next step is for the NSA to decode the information and send out to the various authorities so that the necessary steps are taken regarding what they find out. The employees at the NSA are quite skilled in the technical fields as decoding such information takes quite a skilled team. They are also experienced in the development of state-of the art equipment that are needed to make their job easier. The researchers at the agency work constantly to help the NSA anticipate and prepare for any future developments. The purpose of information assurance is to prevent access to sensitive information or classified national security information and systems. The purpose of this is to ensure that others may not have access to this information to steal it or tamper with the national security systems and information. This work keeps important information out of unauthorized hands and helps to ensure that the information that is needed by the decision makers is readily available when they request it. The next time that you are unsure or someone asks the question, “What is the national security agency?” you will be able to tell them with confidence.